If your day is hanging by a thread, let it be vintage. 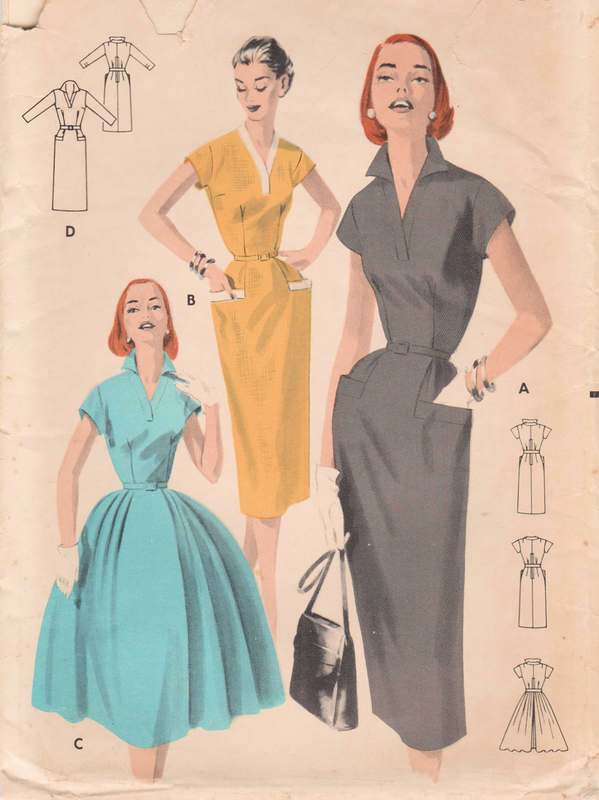 Browsing through a September 1955 edition of Mademoiselle magazine, this ad for the synthetic fabric "Arnel" features a dress style that appears from time to time in vintage patterns from the 1950s. Seeing it in "real life" in this photograph, I am surprised at just how flattering this style is, with its peg-top-esque hip pockets. Would you have expected it? I think, the hip pockets actually work to make the waistline thinner by emphasizing the hips, while the straight line from the hips to hemlines minimizes the hips. Is that a contradiction? At the very least, it is an interesting contrast. :) The dress certainly looks cute on this model! Here is one version, Butterick 7750, a very close match and a wonderful dress. 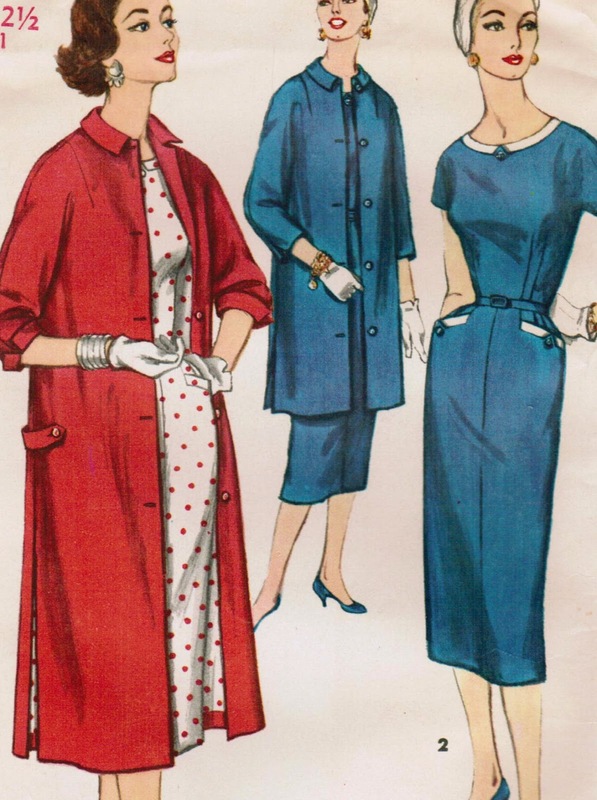 Here is a fine half-size version, Simplicity 1458, with button accents and the bonus of a matching coat. The images in this blog are provided for educational purposes. These images are reproduced from my personal collection of vintage patterns, books, booklets and magazines on sewing and fashion. They are in the public domain with expired copyrights. I do not profit from these images. Images also include photographs sent to me by my customers and reprinted with their permission. The text and images are copyrighted by Midvale Cottage with all rights reserved, and may not be sold.